Find some consistency, and there is no reason why Southend United cannot still challenge for the play-offs in League One this season. Last year, of course, the second half of the campaign saw them demonstrate some fine form as Chris Powell came in – sparking hopes that this campaign would follow on from that. However, they’re yet to really string results together – leaving them ten points off of the top six with just two draws from their 26 matches highlighting their volatility. 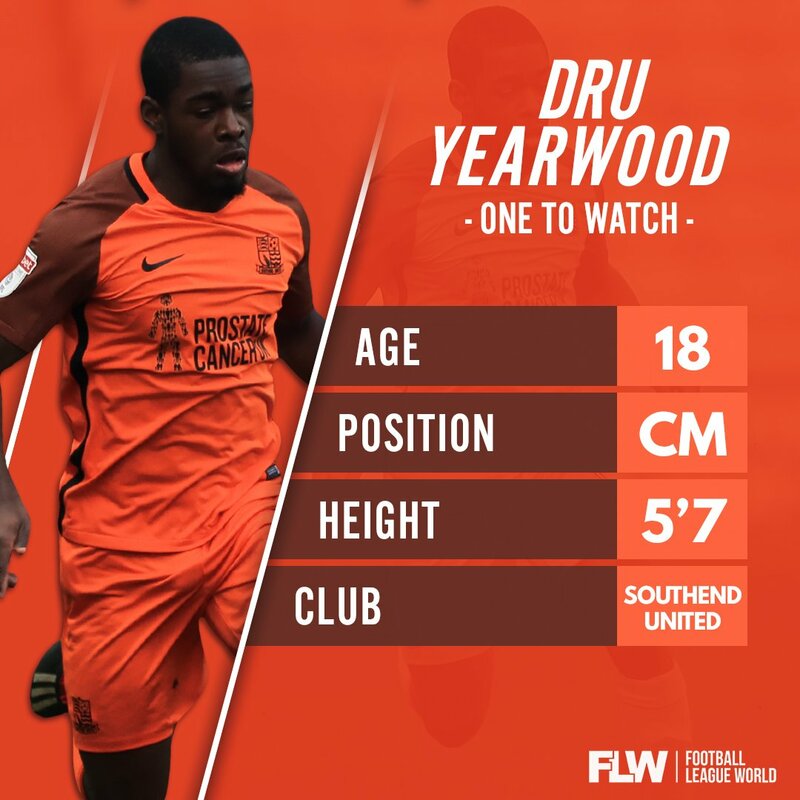 They can challenge at the right end if they find a run, though, and one youngster that quite possibly could help them out is midfielder Dru Yearwood. Just 18, the dynamic central player has enjoyed plenty of minutes so far this season. He’s made 20 appearances in all competitions for the Essex side and in that time he has chalked up a handful of assists. Of course, he’d like more goals, but that is not why he is in the Roots Hall side primarily. Often found in the right central midfield role, he picks the ball up and is able to run at players and drive at the box with neat close control. He possesses fine strength and power to shrug off opponents’ challenges when they get near whilst his composure is good as, after a lung-busting run, he often finds the right pass in the final third. Tenacious in winning the ball and progressive in thought, he helps turn defence into attack quickly for Southend with his energy and directness, whilst his close control allows him to pop the ball off around the penalty area. Undoubtedly, Southend have a top young player on their hands – he’s caught the eye of the youth England set-up – and to help quash the blow of Ryan Leonard’s exit as well as he has speaks volumes. In Chris Powell he has the ideal manager to keep him on the right trajectory, too, so in the coming years there only seems one way for him to be heading.